Welcome home! 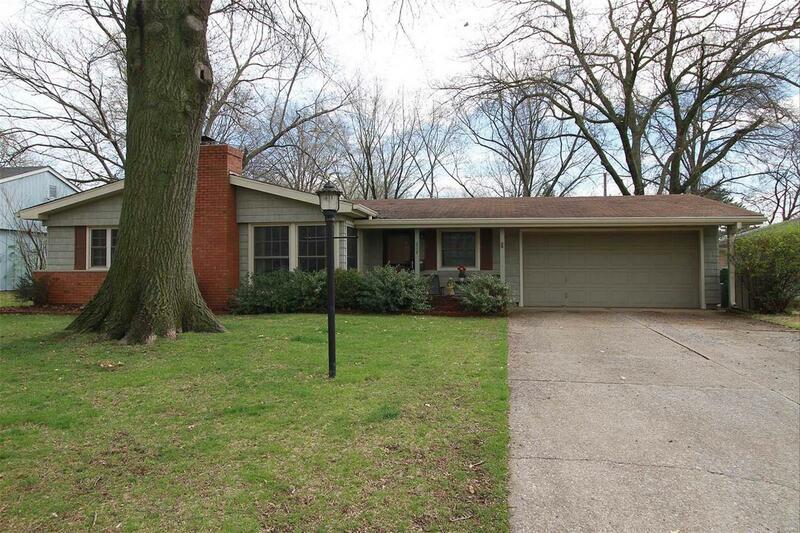 This quaint ranch style home has a country feel providing plenty of comfort and space. The house has been well-maintained and has so much to offer to include a master bedroom and bath, two guest rooms and bath, a living room with a classic masonry gas fireplace, a family room, sitting room/breezeway, mud room, amazing LARGE bonus craft/workshop area on the back of the house and a two-car garage. There are also newer wood laminate floors in the family room and master bedroom, double-hung windows throughout, ceiling fans, six panel doors, updated bathrooms and radiant heat. The amenities donât end there. In the backyard there is a storage shed, privacy fence and a spacious covered patio perfect for entertaining friends and family. Conveniently located near schools, shopping and Scott AFB. Donât let this one get away!